Katatonia are set to return with a special triple-LP vinyl release featuring an epic set of classics from the band’s catalogue. Last Fair Day Gone Night features the Swedish darkened metal masters at their glorious best with this electrifying set from London’s esteemed Koko venue during a series of special celebratory shows to mark the band’s 20th anniversary during 2011’s Last Fair Day Gone Night tour. Released 17th June on Peaceville Records, Last Fair Day Gone Night is presented on triple heavyweight 180gm vinyl in a deluxe box, with a 12 page 12″ book. Founding members Anders Nyström and Jonas Renkse are joined by long-time drummer Daniel Liljekvist along with recent members – namely guitarist Per Eriksson, plus recently recruited bassist Niklas Sandin – for an exhilarating night fuelled by a rich and extensive set of Katatonia tracks both past and present, including a special performance of the landmark 2001 album Last Fair Deal Gone Down in its entirety. Katatonia was formed in Sweden in 1991. Their debut album, Dance of December Souls, was released in 1993, gaining the band recognition for their eclectic brand of gothic, doom and death metal. 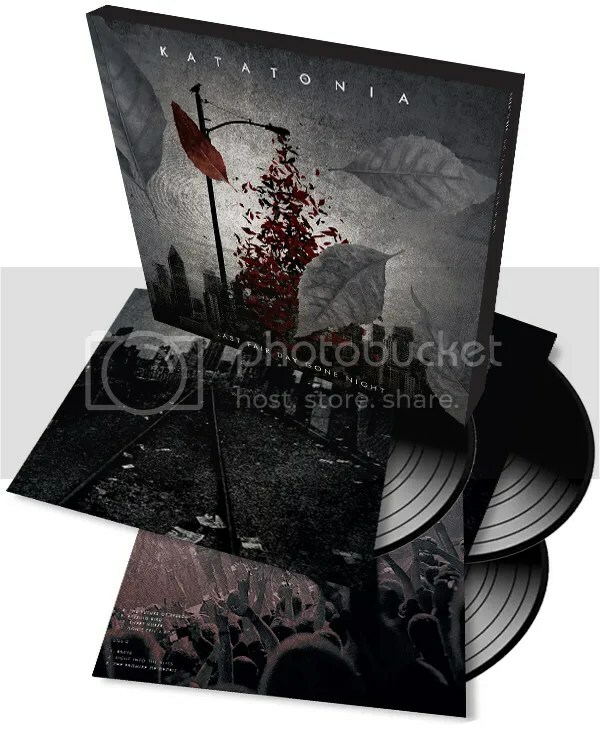 On future albums a newer, sleeker Katatonia sound came to the fore, starting with a streamlined and structured collection of melodic dark rock songs that became third album Discouraged Ones; the main evolution point for modern day Katatonia, where the band stand at the pinnacle of the dark and progressive metal genre. It is a privilege and an honour to be working with The Mission on their new album. 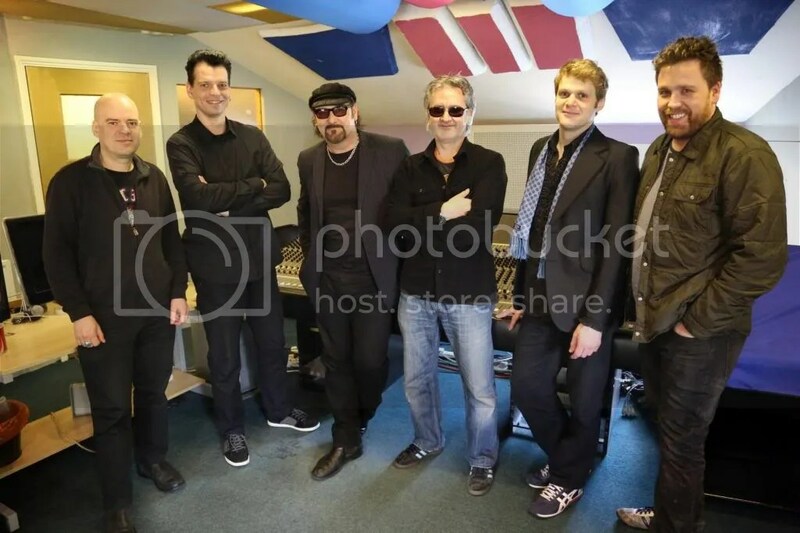 I’ve had many dealings with the band over the last 30 years that I have known them, and this chance to record with the original members is very special. But the most exciting part of these plans – the whole process will be filmed for The Mission’s new documentary, which will be released next year. The new album by The Mission will be released in September 2013 via Oblivion/SPV in Europe and via The End Records in the US. 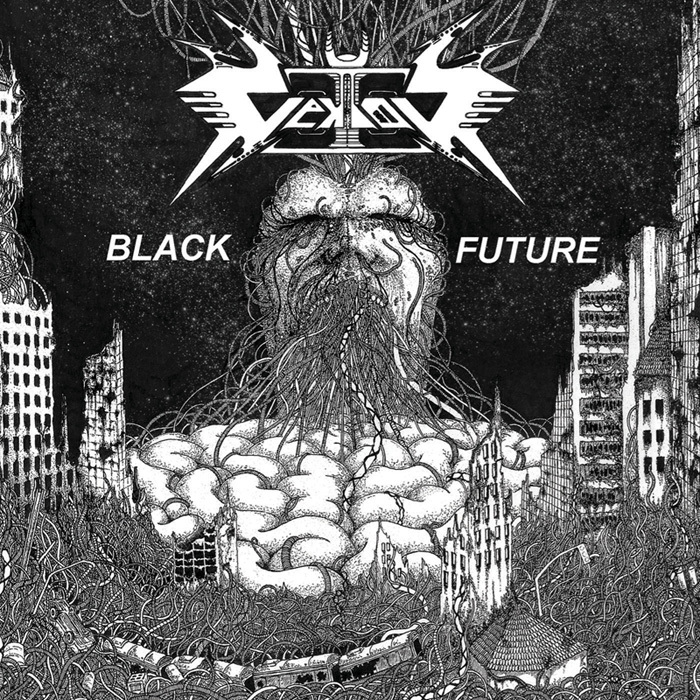 Black Future, the debut album from Philadelphia-based sci-fi thrash outfit Vektor, has been re-issued and is out now on CD and limited edition LP. Originally released in 2009, Black Future saw Vektor emerge as one of the few genuinely innovative young thrash bands around, and with 2011’s Outer Isolation and a recent prestigious US tour with Napalm Death and Municipal Waste also under their belt, the band are fast becoming one of the underground’s hottest names. Get Black Future now from the Earache Webstore in Europe at this location or in North America here. Black Future is also available now on iTunes here. Night On Fire is the pure essence of Reckless Love; a deceitfully catchy tune with an awesome big sing-along chorus and a fierce guitar solo. It embodies all of our biggest ’80s influences from KISS and Van Halen to Def Leppard and Europe. Night On Fire also has this exotic Shakira-esque groove to it, which’ll make you dance, or if dancing ain’t your cup of tea, nod your head until you break your neck! We all have active and vivid imaginations, but we wanted to keep things pretty simple for the video – we’re portrayed as a demonic product of Baron Samedi, a spirit god of Haitian Voodoo. This is the ‘dark side’ of Reckless Love… Hahaha. A full UK headline tour is scheduled for the autumn of 2013, with selected festival appearances also being discussed. Previously, Reckless Love have appeared at the Download and Firefest events over here in the UK, as well as headlining tours, playing London residencies, touring with Black Veil Brides and releasing such irresistible singles and videos such as Beautiful Bomb, Romance and Hot. Incendium is the second album from the German melodic death metal band Burial Vault. It is the follow up to last year’s debut release ‘Ekpyrosis (Periodic Destruction)’. This album was inspired by Ray Bradbury’s famous book ‘Fahrenheit 451’. Straight from the off it’s clear that Incendium is true to its namesake. The intro to the opening track The Stench Of Burning Thoughts features what sounds like the striking of a match followed by the sounds of a fire burning. The music itself is fairly standard melodic death metal complete with a mixture of growls, semi-shouts and mid-paced guitar riffs. Then there are thrashy, more melodic guitar patterns which remind me a little of old In Flames with hints of At The Gates. The short instrumental Soil & Green is a good example of this. Speaking of the guitar styles, these guys like to use the occasional stop-start patterns on tracks such as Peculiar and The Nightly Horror. The aforementioned Peculiar takes a turn for the worse half-way through the track as the vocals suddenly shift from growling to clear. Luckily this change is only temporary. The album also has a few surprises such as the sample-infused, atmospheric Prelude To Peripety sandwiched between two death metal tracks. The rest of the album follows the tried and tested formula of melodic death metal. Other noteworthy tracks include Catharsis which features some thrash metal style guitar riffage giving the song a somewhat catchy feel, and closing song Black Into White which features some catchy guitar solos combined with some acoustic guitar melodies towards the end. Overall it’s fairly evident that Burial Vault have been influenced by melo-death acts such as In Flames and At The Gates. Having said that, Burial Vault are definitely not a clone of these two bands thanks to the acoustic and atmospheric elements in their music. I’m just not convinced that there’s enough variety here to set this album apart from other melodic-death metal releases out there. White Wizzard have been confirmed for Rock Harvest II, a three-day concert which takes place at the House of Rock in White Marsh, Maryland in November. The second annual Rock Harvest will be running from Thursday, November 7th to Saturday, November 9th in support of the police non-profit organization, Fallen Blue. Other bands performing alongside White Wizzard include Heathen, Raven, Leatherwolf, Reverence, Circle II Circle and Slient Rage. WHITE WIZZARD will be performing on Thursday, November 7th. Tickets for Rock Harvest II are available now at this location. For more information about Fallen Blue, go to the official site. 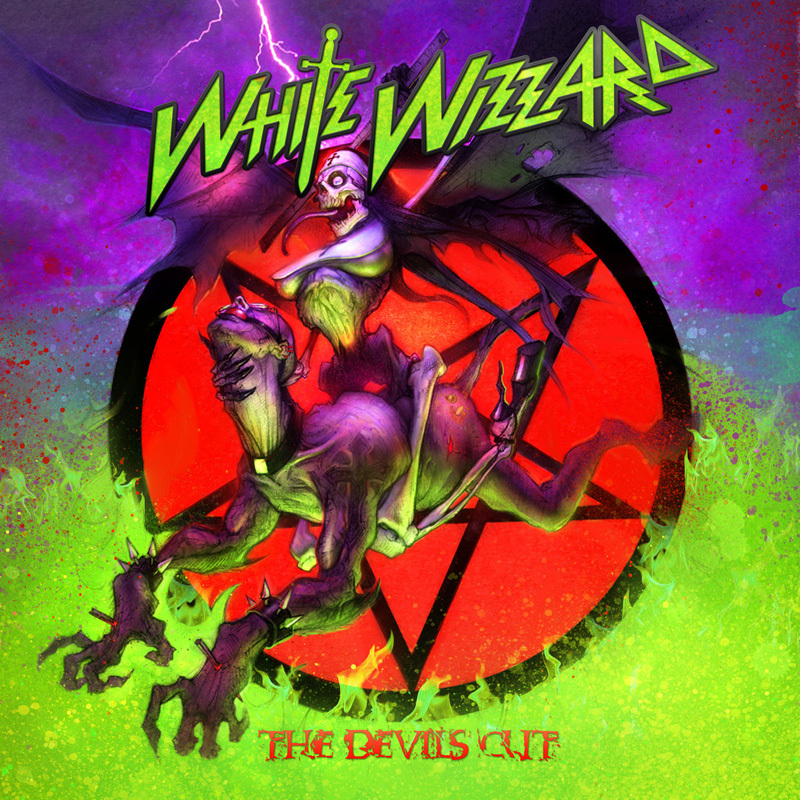 White Wizzard are due to release their new studio album, The Devils Cut, on June 3rd in Europe via Earache Records, and June 25th in the USA via Century Media/Earache Records. The album features artwork by Cameron Davis, who is known for his work as lead character designer and illustrator for the Guitar Hero video game series. Get White Wizzard music and merch from the Earache Webstore in Europe at this location and in North America here. Rival Sons have released a video for their latest single, Wild Animal, compiled from footage sent in from their fans. So check it out. Before our recent European tour, we asked our fans to submit 20 sec clips for the song Wild Animal off our latest album Head Down. What a riot it was going through these! Now, we present to you the culmination of our fans’ (all your!) hard work and creativity on the ‘Official Wild Animal Fan Clip’. We’re always interested in encouraging creativity and so many of our fans worldwide totally put real time and effort into these clips; the entries were awesome and far exceeded our expectations! Yo! Rival ‘Sons and Daughters’: you’ve outdone yourselves! We’re gonna have to set the bar higher for the next one haha! We want to thank you all for the entries, and also all your support on our recent European tour – man, you guys are awesome. Rival Sons’ new album, Head Down, is out now in Europe on CD and limited edition vinyl at this location and on iTunes here. The album is also available now in the USA via Century Media/Earache Records at this location.